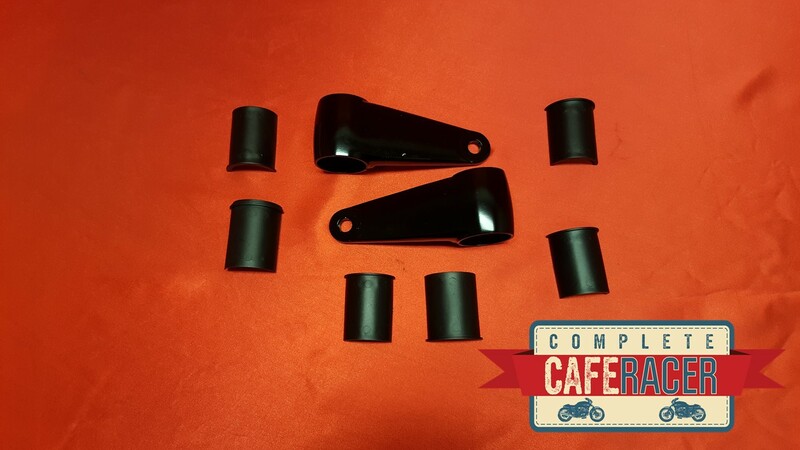 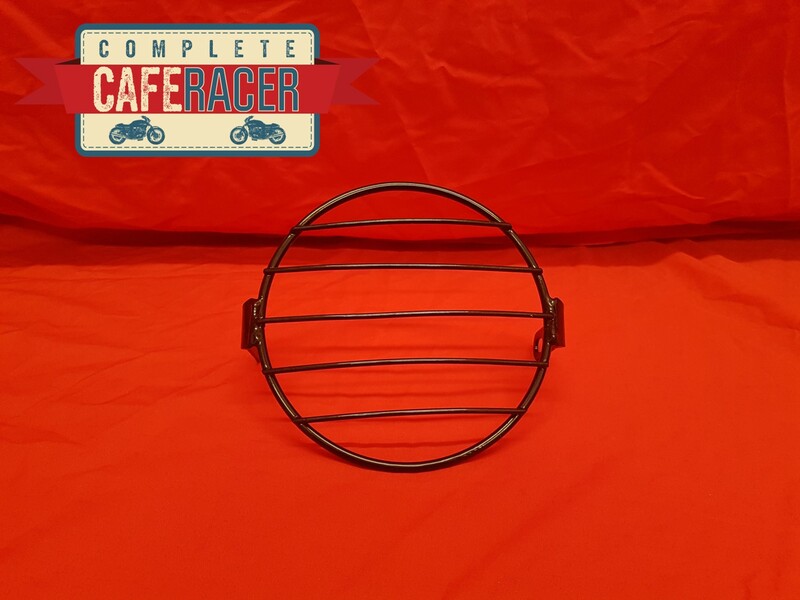 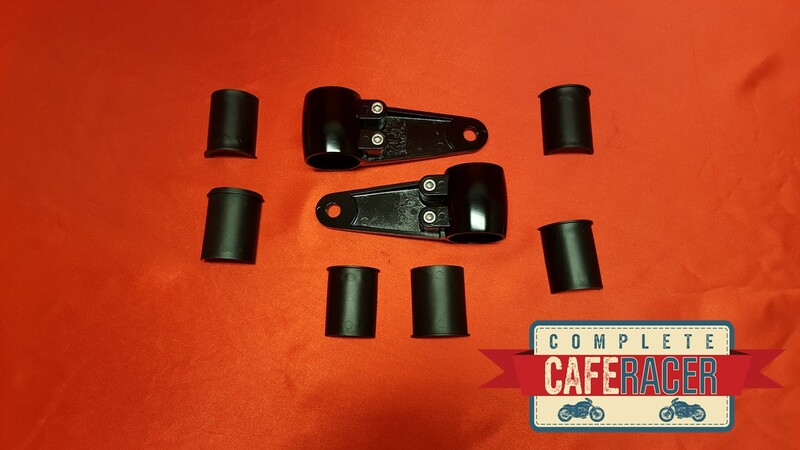 The (A) Cafe Racer Matte Black Alloy Headlight Brackets With 7 Inserts To Fit are made to fit bikes with forks that are 35mm to 41mm. 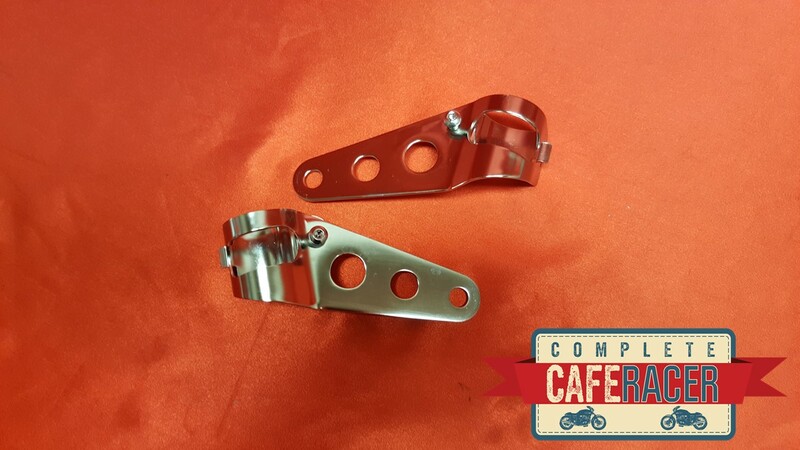 Headlight brackets are used to help keep the headlight at the right angle and location on the forks. 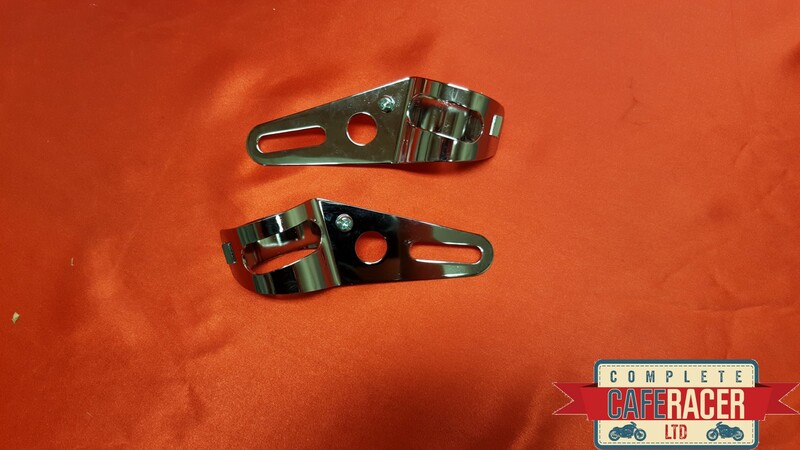 We have a number of different brackets in a range of colours. 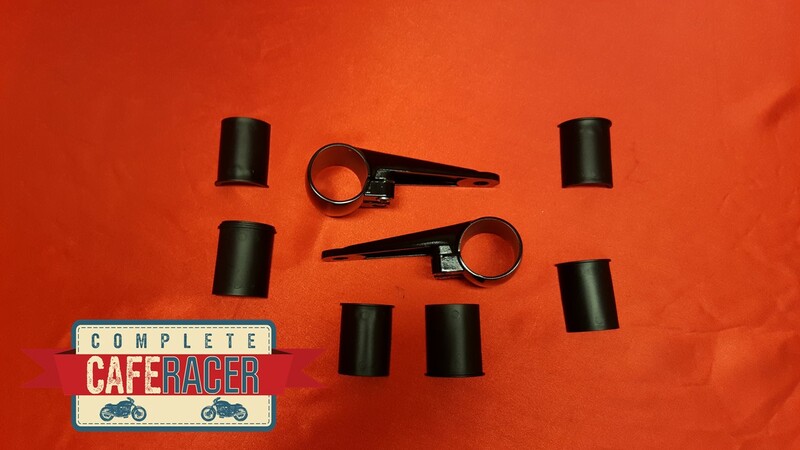 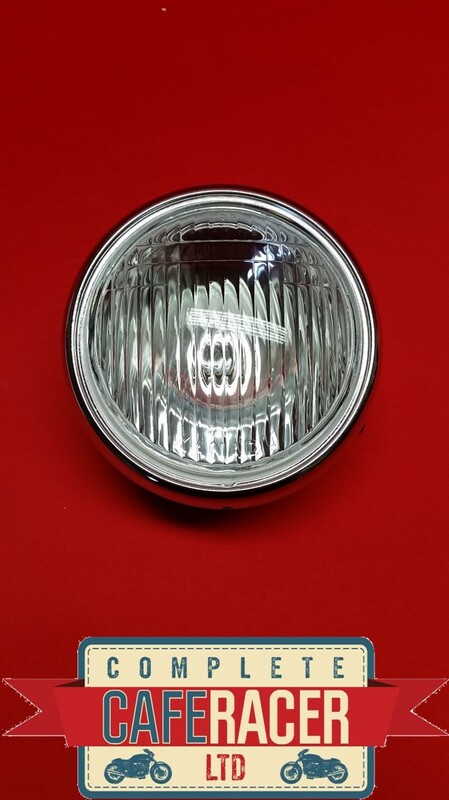 We stock brackets for a variety of fork sizes, so we should have the perfect headlight bracket for you!